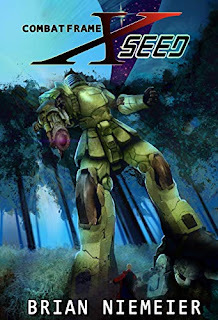 Combat Frame XSeed is the firstfruits of the #AGundam4Us group, a collection of writers seeking to marry the best of Western science fiction with the best of Japanese mecha stories. Unlike most previous attempts to Westernize Japanese media, XSeed does not resort to mere cosplay of its source material. You will not see child pilots, suicidal individualists, jeremiads about the horrors of war, fannish in-jokes, or gratuitous japonisme. Instead, XSeed is anchored in a resurgent Christendom tested by trends extrapolated straight from today’s headlines. This shift frees the action from the burden of forty years of accumulated jargon and expectations of mecha fiction and Japanese media. Make no mistake, Niemeier is catering his mecha to science fiction and adventure readers, not just the fans of all things Japan. That is not to say that the keen-eyed Gundam aficionado won’t see nods to the original. But the newcomer to the mecha genre will not miss out on the story if he does not recognize the resonances—like the variation on the infamous colony drop. 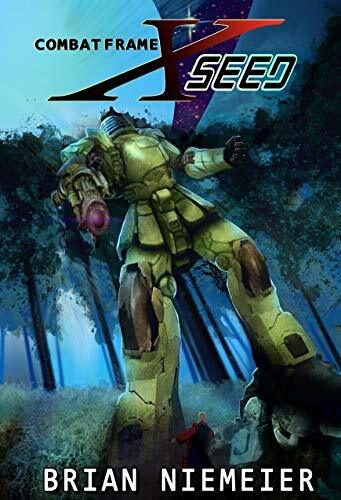 One of the most welcome departures from mecha tradition, where mecha pilots are often a breed or an emerging species apart from the rest of humanity, is that the XSeed pilots, heroic as they might be, are normal humans. Tantalizing glimpses into a sixty million year secret history affecting the entire human race replace tired evolution tropes, undoubtedly to be built upon in the coming sequels. However, these revelations never overwhelm the utterly personal conflicts driving Sieg, Tod, and Zane; conflicts that will shape an entire future. Niemeier takes great pains to ground the characters in military jargon and attitudes, but the fighting does not reflect the grim discipline of the infantry soldier. As is befitting the real robot genre, the Combat Frame pilots are an almost feudal mix of knight and fighter pilot, with the independence and insubordination befitting both. The action is warband against warband and champion against champion, as men and machines clash over issues of freedom and revenge. This feudal approach adds to the thriller’s twists and turns by allowing Sieg, Tod, and Zane a freedom of action not found under strict military discipline. The result takes the best portions of Stephen Lawhead’s Arthur and C. S. Friedman’s In Conquest Born and lets them run loose with giant robots. Don’t miss out on the free short story bridging XSeed with its impending sequel, found only by signing up for the mailing list through the link at the end of the book.